The trio split in 2016 but are getting back together to celebrate the 10th anniversary of their 2009 album 'Music For Men'. Following headline dates and festival appearances in Europe, the band will call in Glasgow, Manchester and London, where they'll perform at Somerset House on July 21 as part of the venue's summer series. 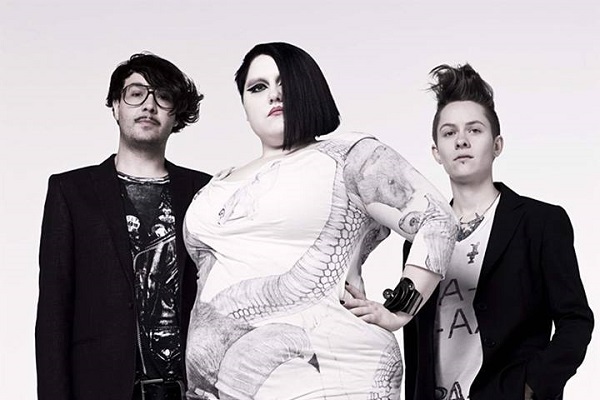 Click here to compare & buy Gossip Tickets at Stereoboard.com. American singer-songwriter Beth Ditto - frontwoman of indie-rockers Gossip - has been arrested in Portland, in what is probably the funniest story of the week. Ever-evolving and perpetually defying convention, Gossip recently hit the UK with their fifth studio album, 'A Joyful Noise', back in May. The three piece are now offering a chance for their fans to win $1,000 in their 'Move In The Right Direction' Video Remix Contest. Readers must add their video, photos or words to an official clip from the video shoot. Once done they’ll need to upload the video to YouTube and leave a link as a video response to this video.